The above photo was sent to me by Ken Chapman who says this may be the "Eagle Tavern" in Guildhall Street, Folkestone. Sorry to say it isn't so where is it? The name mentioned below the eagle says Frank Eely, but that doesn't ring a bell for me. 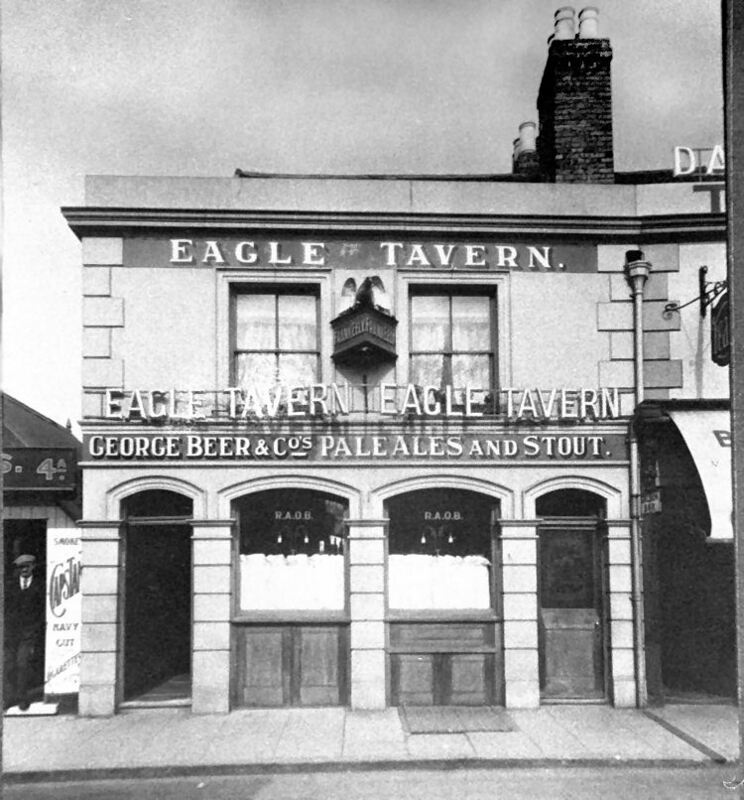 Michael Mirams tells me that it's the "Eagle Tavern" in Deal. Further research tells me that the photo was taken around 1920.